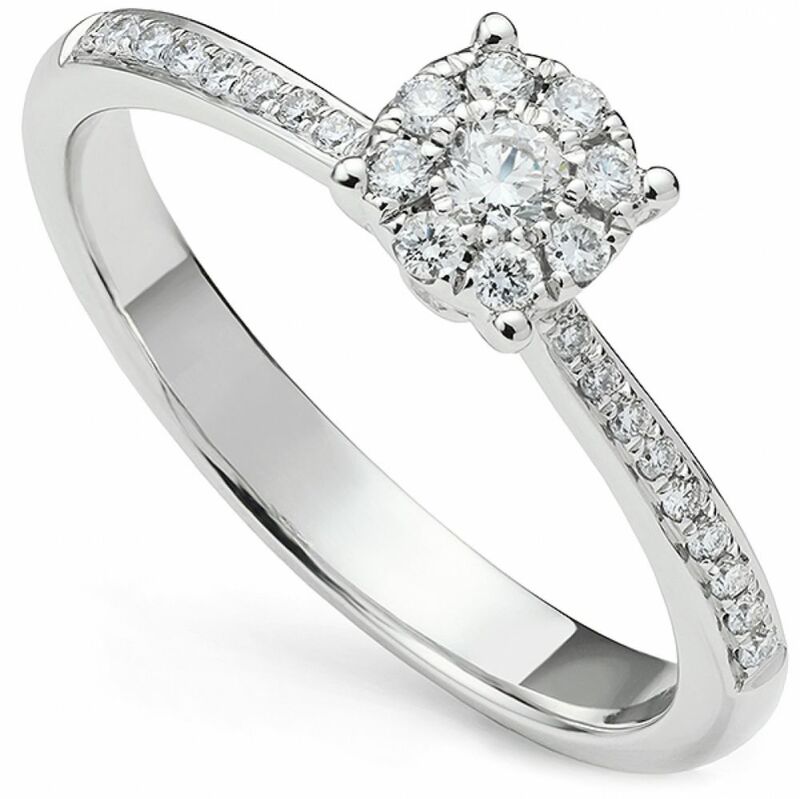 This addition to the Starla engagement ring collection features graduating micro-set Diamond shoulders. The setting spans 5mm from edge to edge – the equivalent size of a half carat Diamond, styled with small precision set Diamonds to mimic the effect of a solitaire. Four claws complete the design, descending to a further Diamond accent set into each side of the setting. The substantial 2.7mm wide band narrows elegantly towards the setting, and is perfectly mirror polished. 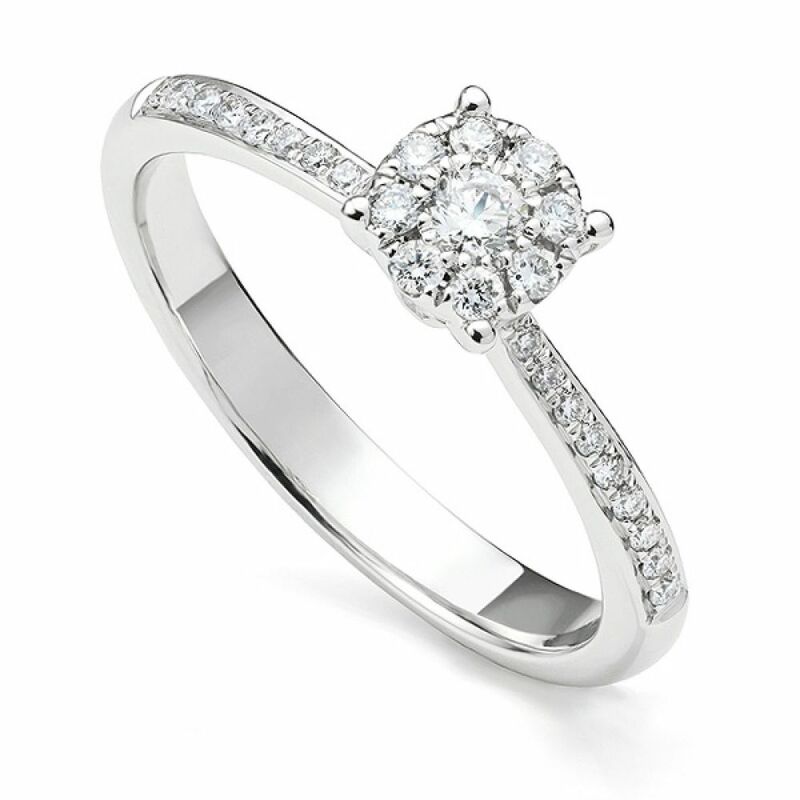 The Diamonds have been graded G Colour SI1 Clarity, and is crafted in 18ct White Gold. Your ring will arrive beautifully packaged in our bespoke ring box, despatched immediately from our ready-to-wear collection. The illusion solitaire engagement ring photograph shows this delightful design, set on either side with an accent diamond. Beautifully boxed in one of our bespoke ring boxes ready to present.